The CW’s post-apocalyptic drama “The 100” was clobbered by some controversy and backlash during its third season, but in Season 4, the narrative wastes no time in moving right along. After all, Clarke (Eliza Taylor) found out in the Season 3 finale that the world’s remaining nuclear reactors were melting down, and the entire planet, including all the humans still living on it, had about six months left. Below, the showrunner also opened up about the lessons he took from the backlash to Lexa’s (Alycia Debnam-Carey) and Lincoln’s (Ricky Whittle) deaths, his confidence in a fifth season and what all the characters are doing to try to stop the end of the world, again. THEWRAP: When I asked CW president Mark Pedowitz what lessons you guys took from some of the Season 3 backlash, he said, “stay away from social media.” Do you agree with that? JASON ROTHENBERG: This whole journey has been a lesson and certainly a learning experience. I’ve never had a show on the air before, I was never even a television writer before. This was a baptism by fire in many ways. I don’t think anybody is really fully prepared for the way to handle social media interaction with this fictional that we create. So sure, there were lessons about that, many of which I think I’ve demonstrated by the fact that I just think it’s better to be quiet and let the show speak for me. And I think there were lessons dramatically too, that were definitely applied to Season 4. I think people are going to love Season 4. Talk about the pacing of Season 4. Are we going to get to the expiration date for the human race by the end of the season? Season 4 is one ticking clock from beginning to end. We put the monster in the water at the end of the premiere and the monster comes home in the finale. It’s a breathless race for 13 episodes, designed that way from the beginning. To me the show is best when it has one uber story that we tell from season to season. To get back to your last question, one of the lessons of Season 3 was, we were trying to do too many things at once. The beginning of the season was one thing, the last half of the season was another thing. There was a really cool, I thought, unifying moment in the middle when the flame revealed itself, that tied the AI to the whole grounder world, that’s what we were aiming for there. But ultimately it felt like two separate stories. Season 2 was Mount Weather all the time, with a little Jaha/Murphy icing on the cake. Season 4, I think, gets back to that really tight storytelling we do well. The Season 3 finale very clearly sets up what Season 4 was going to be about, is that how Season 4 is going to end? Yeah. If you think about it, that’s how every season has ended. Season 1 was finale found Clarke in the white room in Mount Weather. Season 2 became about Mount Weather. Season 2 ended with Jaha (Isiah Washington) finding ALIE, and Season 3 became about ALIE. At the end of Season 3 ALIE told Clarke the end of the world was coming in the form of this death wave, and Season 4 ends up becoming about that death wave. So yes, Season 4 ends in a way that keys up Season 5, in a story that is pretty cool, that I feel very confident we will get to tell. We’re four seasons in, it sounds like we’ll go at least five, do you have an endgame in sight yet? It’s funny, I used to have an endgame in sight. But the story has evolved in amazing ways that I would have never anticipated. I still have an end in mind, but I’m not quite sure if it’s the one I thought of originally. We’ll see … I think Season 5 is going to be interesting because it really turns everything upside down yet again. But we should probably talk about Season 4 first. Bellamy (Bob Morley) and Clarke appear to feature prominently in the first few episodes of the season. Was this a deliberate return to that sort of Season 1 co-leadership relationship they had? Yeah, I feel like that’s what the show has always been. It took a little detour, of course, and they went in different directions for a little while. But they’ve always been sort of the heart and soul of the show. They’ve always been the heart and the brain, or however you want to put it. Together they are stronger than they are apart. I think they came back together in the back half of Season 3 and that’s when the ship got righted and ultimately led to the destruction of ALIE. Now they’re teaming up to face this bigger threat. They’ll have different ideas, different philosophies that will sometimes come in contact, for sure, but they’re heartened and they’re a unit, and they will definitely take on this problem guns blazing, together. You know I can’t answer that question! Talk about lessons learned! [laughs] Even if something was going to happen I wouldn’t be able to answer that question. 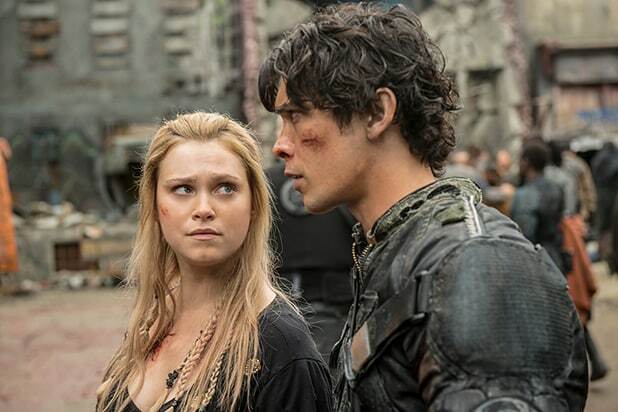 I ultimately think that Bellamy and Clarke are amazing partners, I think that as characters they connect in really deep and important ways. They love each other, for sure, they respect and need each other. Again, together they’re better than they are separate. It’s not a show about that relationship, though, just like it’s not a show about any relationship. You did lose one longstanding romantic relationship with the death of Lincoln. How is Ricky Whittle’s departure going to affect the show? Ultimately, Octavia (Marie Avgeropoulos) – there’s a huge void in her soul. He was her soulmate, for sure, that was a legitimate soulmate relationship, it was very important. His loss for her was devastating. She’s unmoored right now, and she’s going to take a while to figure out how to get back in the light. She’s going down a dark path for a little while because of it. Ultimately, she’s going to learn to internalize Lincoln the way Clarke has learned to internalize Lexa. By that I mean what they stood for, who they are and who they were. You never forget the people that you loved, you always have them with you, so ultimately, those two characters were good, and presented lessons for all of us, and lessons that Octavia will eventually remember and that Clarke this season, for sure, is influenced by. In the premiere, someone says, “The youth have inherited the earth.” Do the younger characters take a more formal leadership role this season? 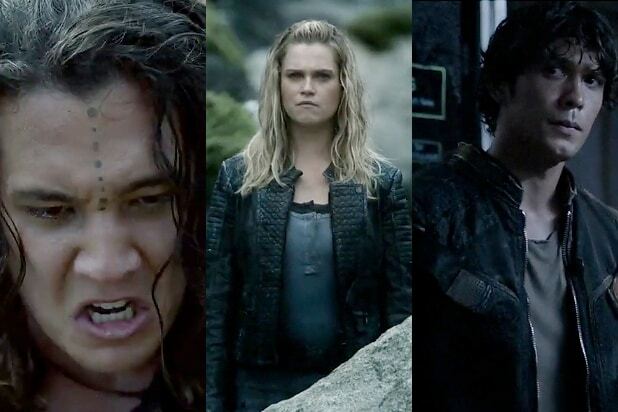 For sure, everyone looks at Clarke and Bellamy, Clarke in particular, as a leader if not the leader. She has the moral authority of what she has done in everything she now does. She doesn’t need a title, she doesn’t need an election. People look to Clarke for answers. The question is, who does Clarke look to? What do you do when there are no answers? Clarke, this season, is going to be searching very hard for the right answer. And by the way, what Clarke sees as the right answer is not going to be what her people necessarily think is the right answer. There’s a very interesting Jaha-Clarke story that unfolds this season, a leadership story that I’m excited for people to see. But to answer your question, yes, they’re now accepted, there’s no more inter-generational, like, “Kids, thanks for playing, but now the adults have it.” The grownups and kids are all one now, they’re all equal. Bellamy, Clarke, Raven (Lindsey Morgan) and Monty (Christopher Larkin) have slowly emerged as this core four on the show. How did you land on the four of them as the central figures in this story? I think that ultimately part of the problem that needs to be overcome is a scientific problem, so the minds on the problem are Raven and Monty in terms of trying to figure out how we beat this thing, if that’s possible. And Bellamy and Clarke are the two who know what’s happening, because Clarke was told by ALIE and Clarke confided first in Bellamy, as she often does, and they need to solve the problem, so logically [Raven and Monty] are the people they would turn to for help. Jasper would have been in that group too, but Jasper, when he gets the news of the end of the world, his reaction is very different. Those four are fighters. They’re not stopping until they find a way out of this thing. “The 100” premieres Wednesday, Feb. 1 at 9 p.m. ET on The CW. The CW just dropped the first trailer for "The 100" Season 4. Here's a few things we noticed. The world ended before "The 100's" series premiere, but instead of slowly rebuilding a society, Season 4 appears to present another world-is-ending dilemma for the delinquents, who were born in space after the world ended the first time. Bellamy, Harper, Miller and Monty are seen approaching a brand new set, a massive structure at the base of an icy mountain, presumably Roan's land. As has become tradition on "The 100," it looks like at some point Clarke will be striking out on her own, this time to meet an army of Ice Nation soldiers on horseback. What could go wrong? For the first time on the show, we see what appears to be a map of Grounder territory. Polis, it turns out, is just one small dot on a whole system of roads and destinations. Where will the delinquents go next? The trailer gives us a brief glimpse of Chai Romruen's new character Ilan. We don't know much about him, but like everyone else, he'll clearly be going through some pain. Octavia is still clearly hung up on getting revenge for Lincoln's death, even after she killed Pike. The question is, who is she extracting vengeance from? Indra is back, Echo is back -- and ready to go cause more trouble whispering into Roan's ear; Luna is back, with some unfortunate boils; and Niylah is back, hanging out with Octavia. A few "The 100" established couples, including Monty/Harper, Murphy/Emori and especially Kane/Abby, get some nice downtime moments. Meanwhile, Bellamy and Clarke continue to do some platonic hand-holding.